The 1600223 Rear Cultivator can be used for seed bed preparation or cultivation. The seven spring shanks break up the soil uniformly or by removing the center shank, it works well as a single row cultivator. Reversible spike points double the useful life of wear surfaces. 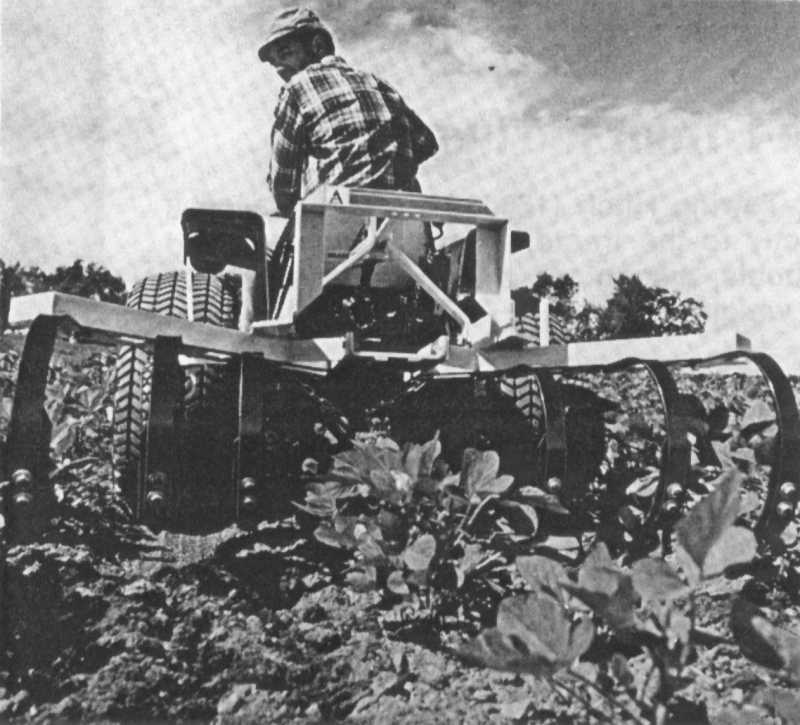 Source: Dealer Sales Information, 720 Series Tractors, date unknown, courtesy of Del Allen.